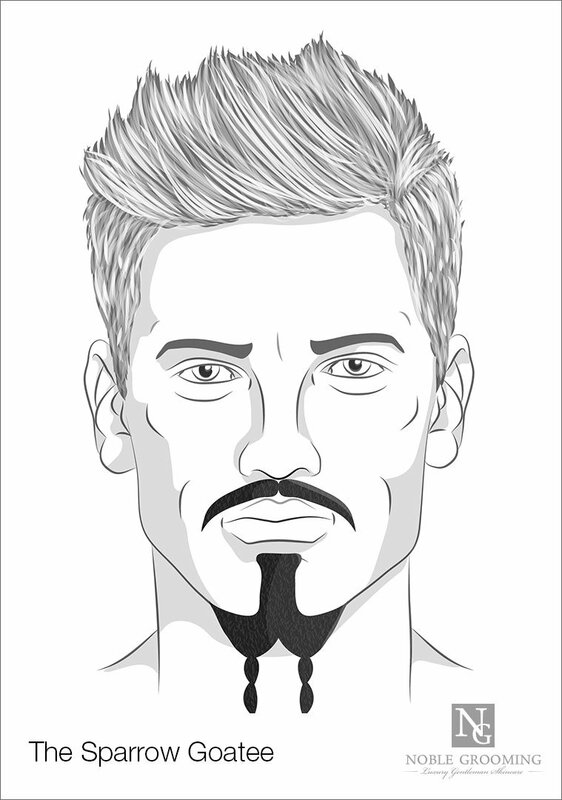 Goatee styles are something every bearded gentleman should be familiar with. 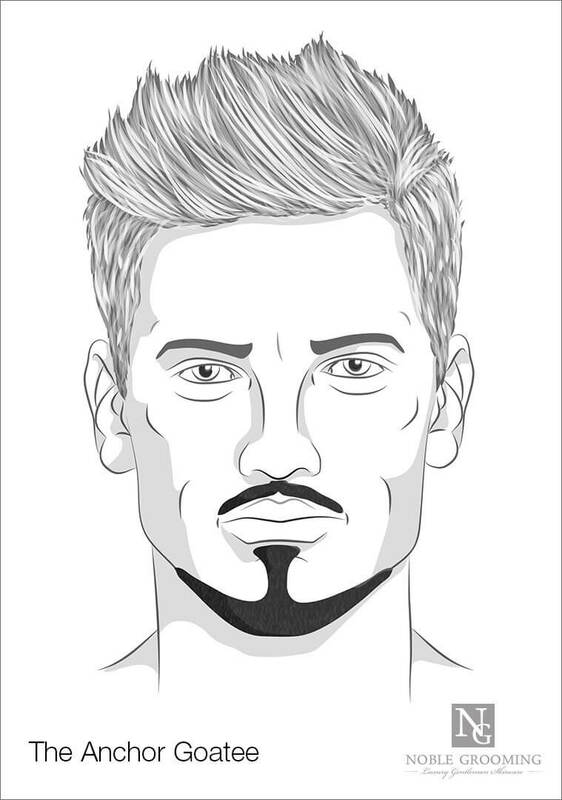 Whether itâ€™s a stepping stone to a heavier beard, a switch from a full-bearded look, or simply your preferred facial hair style, goatees are a versatile, stylish way to adorn your face. This guide was originally published onÂ noblegrooming.com. Unfortunately, the website is gone. We at Mister Shaver think that it’s unfair such a great content may beÂ gone too. All rights belong to Noble Grooming. So in this short guide, weâ€™ll walk you through goatees â€” what they are, why you might want one, and the different styles available to you. Technically, a goatee is simply a small pointed beard like the one worn by a goat, hence the name. (We know, that doesnâ€™tÂ soundÂ classy. But if it was good enough for Abraham Lincoln, itâ€™s good enough for us.) 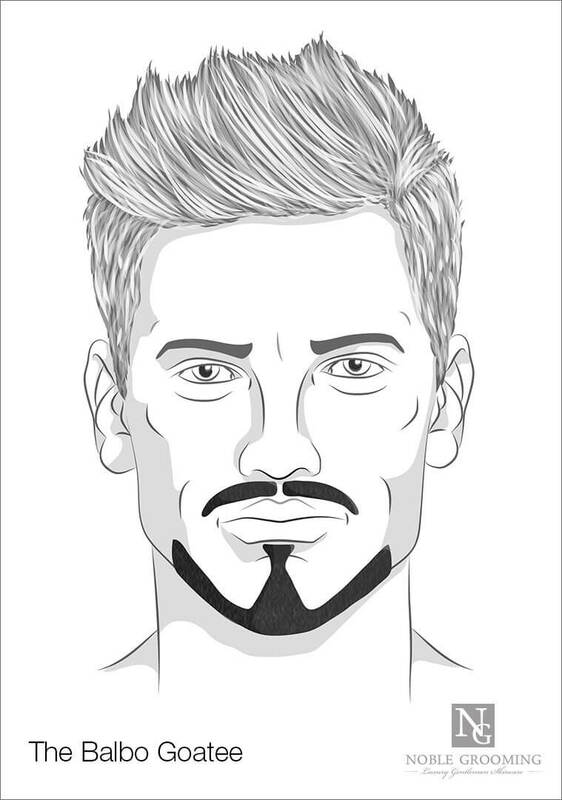 Today, the term applies to a wider range of styles than the definition suggests; and loosely applied, a â€˜goateeâ€™ generally describes a style of beard with a focus on the hair on the chin and mustache. And with proper grooming and good style, the modern gentleman can easily incorporate the humble goatee into a classy, refined look. 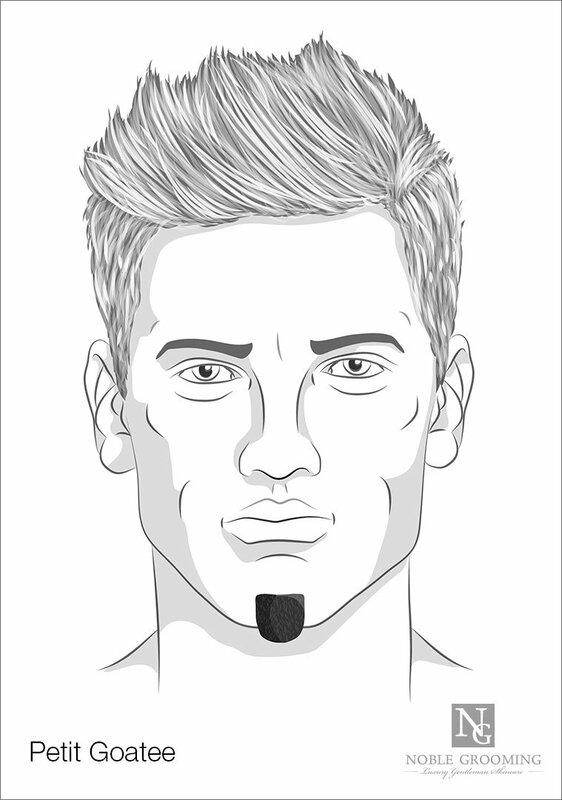 So spend five minutes with us as we explain to you some of the different kinds of goatee at your disposal. 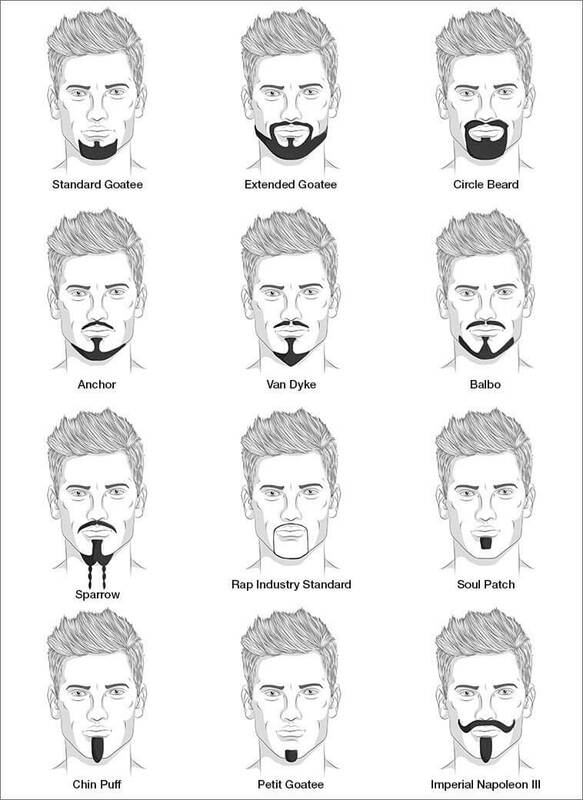 First, letâ€™s discuss the various short goatee styles available to you. This is the standard form of this time-tested beard, and it sticks fairly closely to the definition of â€˜goateeâ€™: a patch of hair beneath the chin, with no mustache. For this style, youâ€™ll want to shave off everything to the east and west of the edges of your mouth and let everything south of the lip grow together. The dividing line to the sides can be curved or straight as you prefer. But make sure the look stays classy by keeping the bottom cut fairly close to the chin. 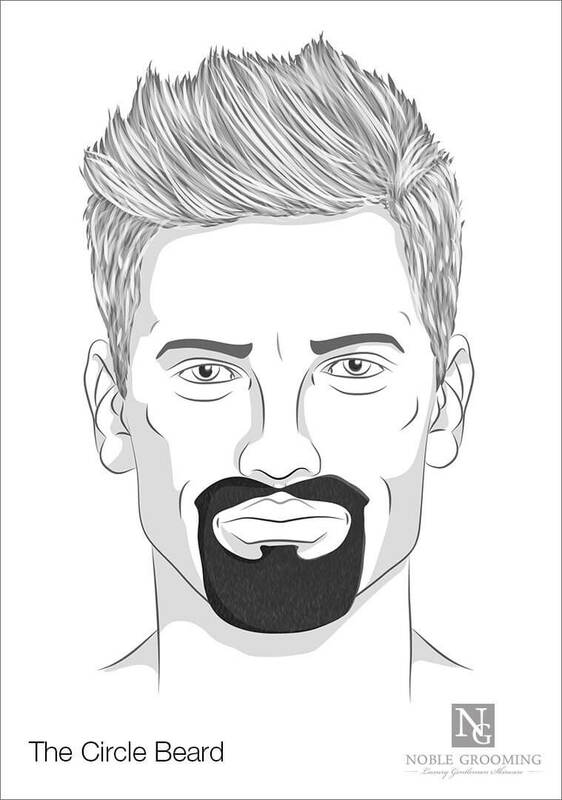 The extended goatee, as the name suggests, is similar to a goatee but with the restrictions mainly removed: the beard is allowed to grow out to the sides, and a mustache is added. Sideburns are not part of this style, as that would make a regular beard. If adopting this style, remember to increase your beard oil usage accordingly. Whether this style is actually a goatee in the strict sense of the word is up for debate. However, thereâ€™s no denying that it looks stylish, and in fact, one of the main benefits of this style of beard is that it allows beardsmen to maintain a fairly full beard whilst still looking well groomed. 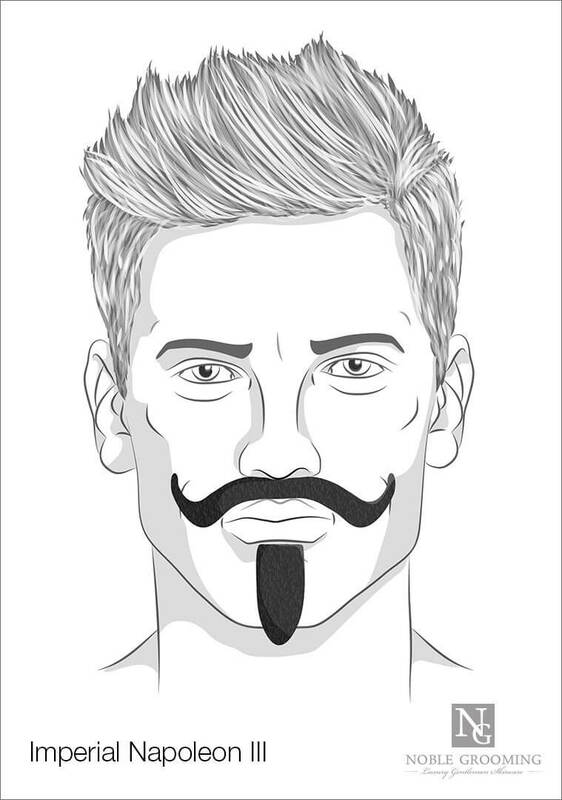 To make the circle beard, simply join a mustache to a rounded goatee. How much you fill in the gaps, or how long you grow it, is up to you. A fairly difficult beard style to pull off, but one that can look quite stylish if done right, the anchor takes its name from its resemblance to the nautical ship equipment of old. 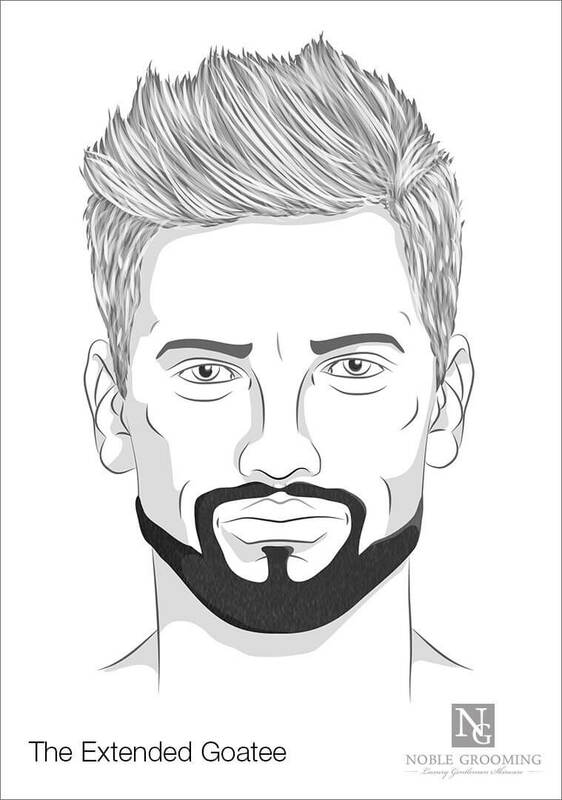 To create the anchor, combine a finely tapered chinstrap beard with a handlebar to the bottom of the lower lip, and add a well-groomed pencil mustache for the top of the anchor. Taking inspiration from the historically renowned Flemish painter, Anthony Van Dyke,Â the Van DykeÂ is a combination of a well-groomed mustache separated slightly in the middle with a well-curated, finally pointed goatee. As with the anchor beard, this one is very important to keep well-maintained, so if youâ€™re sporting this one, pay close attention to the edges of your style. This beard, originally derived from the Italian WWII bad guyÂ Italo Balbo, has recently found a far more worthy champion in stylish actor Robert Downey Jr. It may be best to start with a fuller beard and trim down for this one. Itâ€™s similar to a Van Dyke, but with the bottom cut shorter, and a narrow strip of beard growth along the chin to each side. Worn by the undeniably dashing Jack Sparrow of Pirates of the Caribbean, the Sparrow combines a mustache with a soul patch and a goatee split into two braids off the bottom of the chin. We wonâ€™t blame you if you decide to sport some black eyeliner and seafaring garments to go with the look. So-called because of its popularity amongst rappers, the Rap Industry Standard is a pencil-thin ring around the mouth, skirting the top lip, tracing the sides of the mouth down to the jaw, and following the jawline along the chin. It takes care to keep it very thin without a shaving misstep ruining the entire thing, so exercise caution. You probably know what this one is without us having to tell you, but it would be remiss of us not to include it in a list of goatee styles. 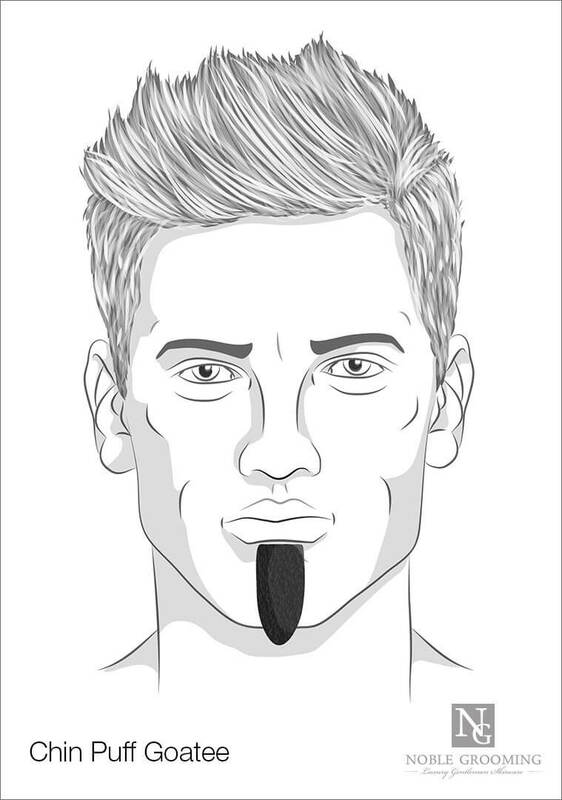 A short patch of hair beneath the bottom lip, the Soul Patch is one of the most versatile styles you can have in your stylistic toolbox; it can be mixed and matched with a huge number of mustaches and beards to vary your look â€” almost always with good results. Wear it on its own, a dashing testament to how hip you are or combine it with a mustache or beard of your choosing. Similar to a Soul Patch, the Chin Puff is achieved by growing out the patch of hair beneath the lip to extend beyond the base of the chin. The â€˜puffâ€™ comes from the fact that the hair spreads out to a greater width than it grows out of the face, before tapering into a gentle point at the end. You might find this comes naturally, or you canÂ use a beard balmÂ or other styling agent to get the look. 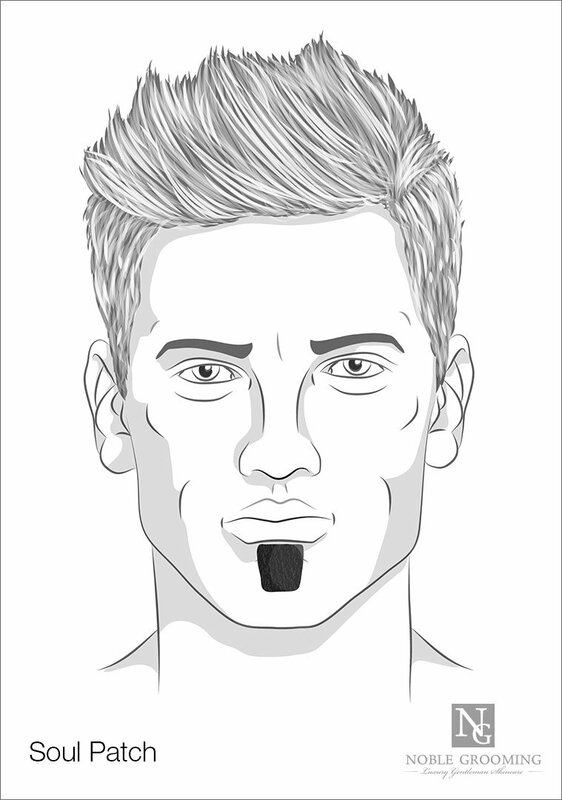 Further showing the versatility of the Soul Patch, this style is another variant which has been grown out beyond the edge of the chin. Thereâ€™s some flexibility in the shape, but generally, its main distinction with the Chin Puff is that it tends to be tapered to at least a rough point, rather than growing uncontrolled or having a puff in between the base and the end. Technically, the style requires a mustache to truly resemble its namesake, the French Emperor Napoleon III. Itâ€™s comprised of what could probably be described as a Petit Goatee grown out to a few inches length. 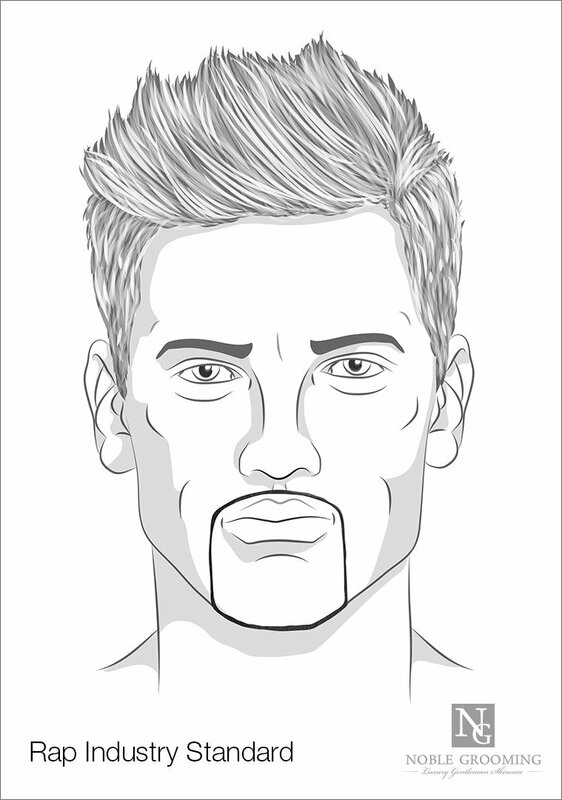 In conjunction with an English style mustache with a bushy upper lip and long, tapered ends. Thereâ€™s room for variation in the goatee section of this beard, and men with curly or wavy hair may wish to experiment with growing it long enough to allow their natural volume to show. Itâ€™s a bold style, literally fitting for an Emperor; but youâ€™re not growing a goatee to look like everyone else in the world, so embrace it. 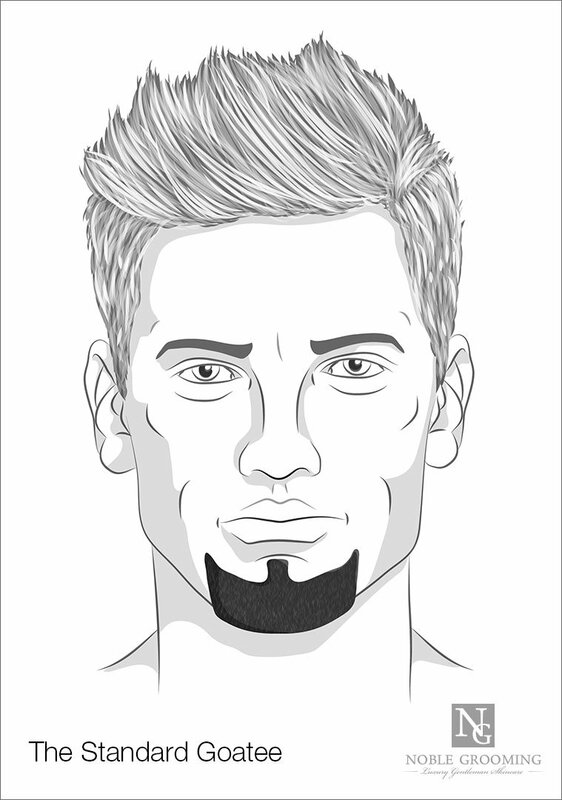 Whatever your style of a goatee, donâ€™t forget that all beards need maintenance. And a goodÂ quality beard trimmer is a critical part of any good maintenance routine and will work wonders for grooming your goatee. So use a trimmer, beard oil, and the mustache wax (if needed) and always keep well-groomed and well-maintained, and your goatee will bring you compliments for years to come. Oh, if you’re looking for beard or mustache styles,Â check out our guides onÂ differentÂ beard styles for menÂ and ourÂ mustache style guideÂ as well.